LOCH SHELDRAKE, NY (Saturday, February 21, 2015) – They’ve been relaying for nearly 20 years, and they’re doing it again for 2015. 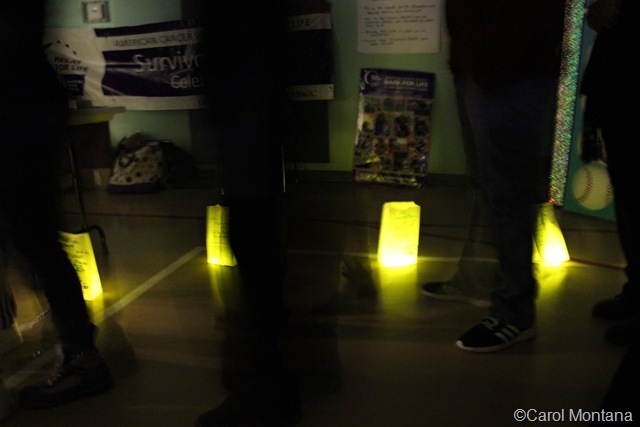 The Annual Sullivan County Relay for Life will be held on Saturday and Sunday, May 30 and 31 at Sullivan County Community College in Loch Sheldrake. But before that, there’s a Kick-Off dinner held at Maxie’s Place at New Hope Community in Loch Sheldrake. And that’s where, on February 13, over 100 people joined their friends and loved ones to celebrate life and continue the fight against cancer. 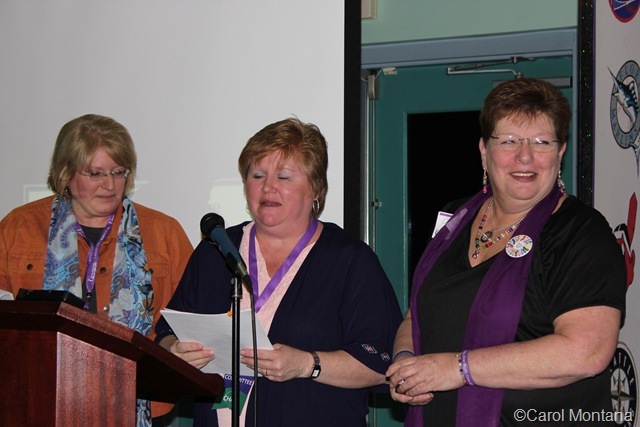 Past co-chair Gayle Irving was given a plaque honoring her many years of service (photo right). 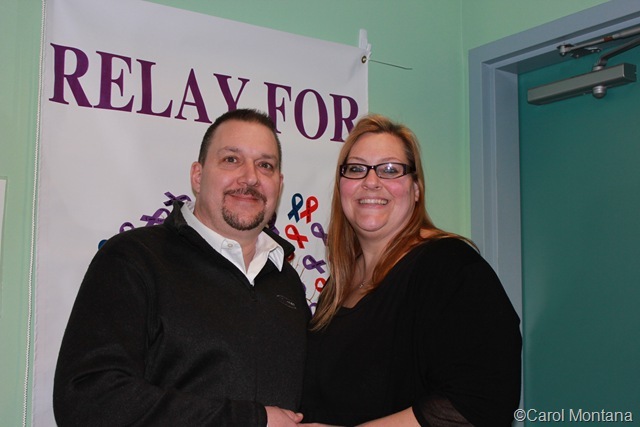 And one attendee, cancer survivor Michael Geraine (in photo at left with his wife Joanne), reported that his chemo port had recently been removed – on his birthday. The Kick-Off, as always, ended with a moving Luminaria – the bags decorated with names of survivors and loved ones lost to cancer. 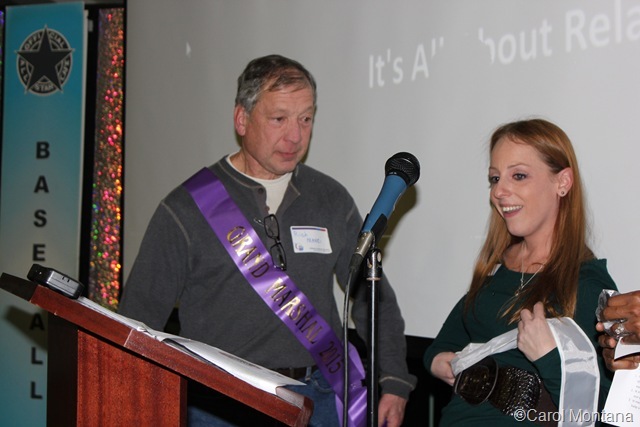 To see more photos, go to 2015 Relay for Life Kick Off Dinner.